Enjoy Holidazzle! Learn about all the fun activities, programming and entertainment as well as food, beverages and gift opportunities in this year’s Holidazzle Guide. Thanks to Twin Cities Moms Blog for putting together this year’s Holidazzle Guide. 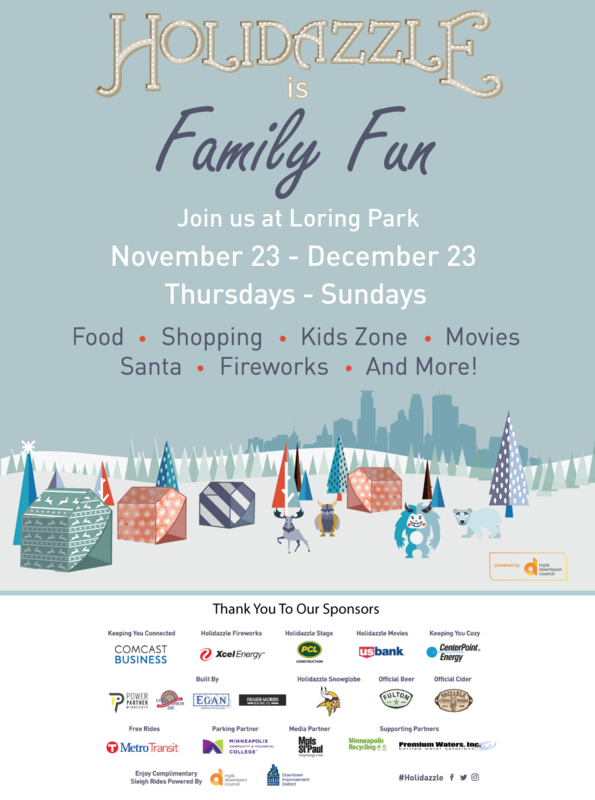 Click the image below to begin browsing all the fun activities at this year’s Holidazzle!